Readers will recall Unconscious Squirrel!, the unsuccessful cartoon strip about an unconscious squirrel created, and then abandoned, by Lamont Pinochet. One hesitates to say that the character is much-lamented, as nobody took much notice of the strip when it appeared, and Pinochet himself found it tiresome, so much so that he used to fall asleep while drawing it. Now, in a bold move, the unconscious squirrel has been revived in a new potboiler by Pebblehead. The Nuts Of Narcolepsy is set in a woodland idyll, where an unsuspecting squirrel eats some poisoned or contaminated nuts which cause it to swoon into unconsciousness. As ever, the bestselling paperbackist handles his material in a bravura manner, investing his simple tale with stylistic flourishes and cracking dialogue, displaying an enviable command of the exclamation mark. Early reviews have been positive, with Lex Pilg in the Daily Hubbub Monitor praising it as “a real page-turner of the sort we expect from Pebblehead, with thrills and spills aplenty”, while the angling magazine Minnows In Nets noted with approval its lack of clunk. 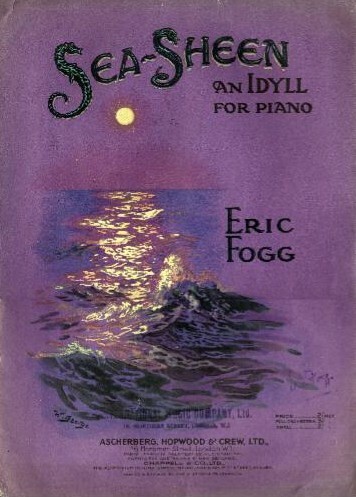 Curiously, The Nuts Of Narcolepsy is dedicated to the memory of Eric Fogg (1903-1939), the English composer who fell, or possibly threw himself, under a tube train at Waterloo station on the eve of his second marriage. An open verdict was recorded. There is no evidence that Fogg had a thing about squirrels, and Pebblehead has never expressed any previous interest in him, nor about English music in general. The paperbackist is known to be an enthusiast for noisy aggressive Germans. We shall have to await the deliberations of those dedicated folk who compile the annual Register Of Dedicatees Of Potboilers for enlightenment. Interviewed on the porch steps of a particularly sordid bordello, Pebblehead dropped hints that we will be seeing more of the unconscious squirrel. When he was able to get a word in edgeways, Pebblehead’s interviewer taxed him with the point that he had not in fact created the unconscious squirrel, but taken him, in all his particulars, from an almost forgotten cartoon strip by the creator of Magnet Boy! The Boy Magnet. The revelation that Pebblehead maintains an allotment will come as a shock to his readers. How in the name of all that is holy, one wonders, does so indefatigable a paperbackist find time to grow radishes and kohlrabi and tomatoes and potatoes and bugloss and beetroot and hollyhocks, not only to grow them but to keep them free of hideous diseases and the predations of tiny parasitic creeping things? Annoyingly, the interviewer did not pursue this fascinating line of inquiry. Dismayed by rainfall, he left Pebblehead standing alone on the steps of the bordello, tucked his notepad into an inner pocket, gave his pencil to a vagrant, and ducked into the shelter of a railway station, descending the escalator to catch a train back to his office. All the more perplexing when one considers that he was working for a magazine entitled Potboilers And Allotments And The Social Glue That Binds Them. In an echo of the past, the railway station into which the rainsoaked reporter hurried was Waterloo, and he fell, or possibly threw himself, under a train from the very same platform from which Eric Fogg fell, or threw himself, seventy years ago to the day. Unconscious squirrels, fainting goats, stoned prophetic badgers..?